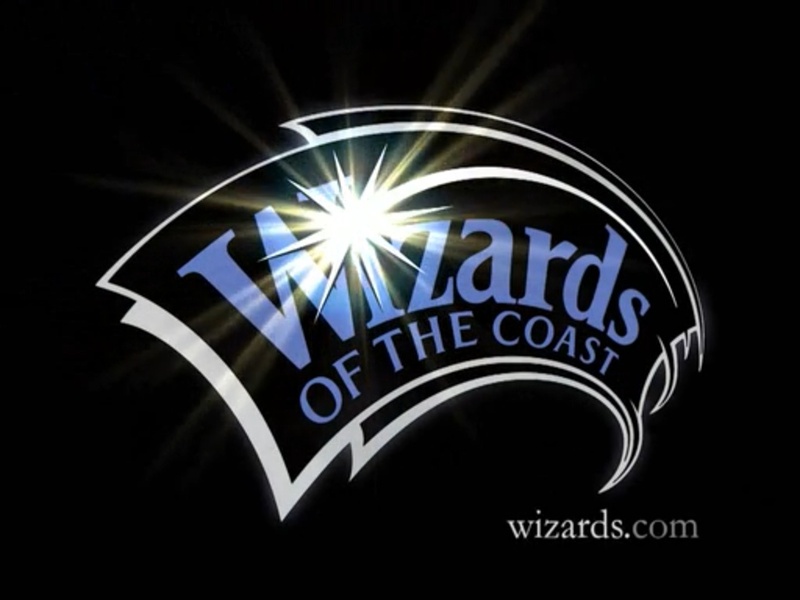 The game starts with an animated logo for Wizards of the Coast, creator of Magic: the Gathering. It’s short, but it doesn’t offer any value. It’s standard issue on PC and console titles, and it isn’t crazy to be on an iOS title either. That doesn’t make it any more helpful for a gamer that’s got a limited amount of time to play though. 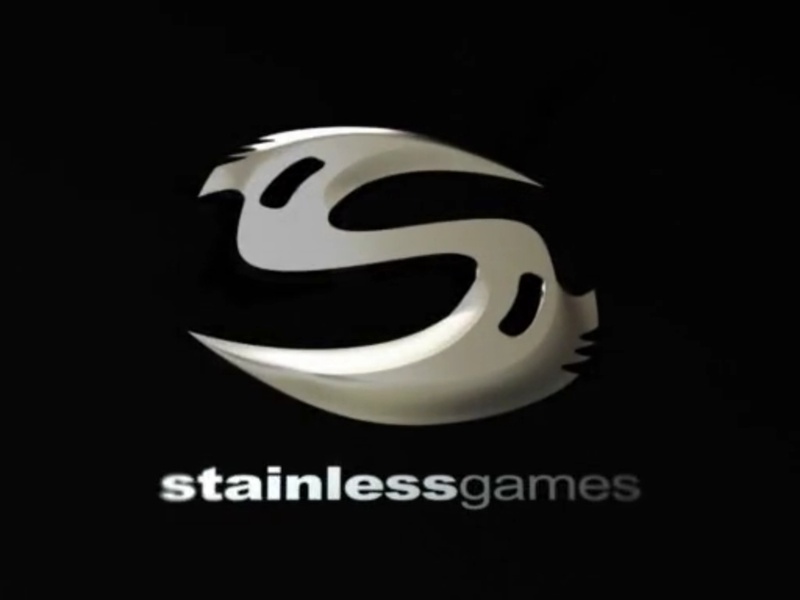 Stainless Games is the game studio that built the iOS title, and they get their logo on a splash screen too. Again, it only takes a couple of seconds, but the player will see it every time unless they tap the screen to skip it. No value. I really don’t understand what this pop-up is about. So it’s telling me that I’m signed in with my Game Center ID? Are there a lot of users that have to deal with multiple Game Center IDs on the same device? The game already uses the default iOS Game Center notification saying “Welcome, [your game center id]” once you finally get to the main menu, so I don’t understand the value of this pop-up. Especially forcing the player to tap OK every single time the game is started; that seems excessive. Once you clear the random pop-up, of course, we get a classic “Press Start” screen that has to be skipped through. This is a relatively common practice that has come up before on the site, and it’s super useless here. With a console or PC game, a “demo mode” triggered by sitting on the title screen long enough at least a little more sense than it does with an iOS game. Once you get past the useless title screen, the expectation is that the user is ready to go, and we finally can reach the main menu – the last hurdle before fun is achieved. 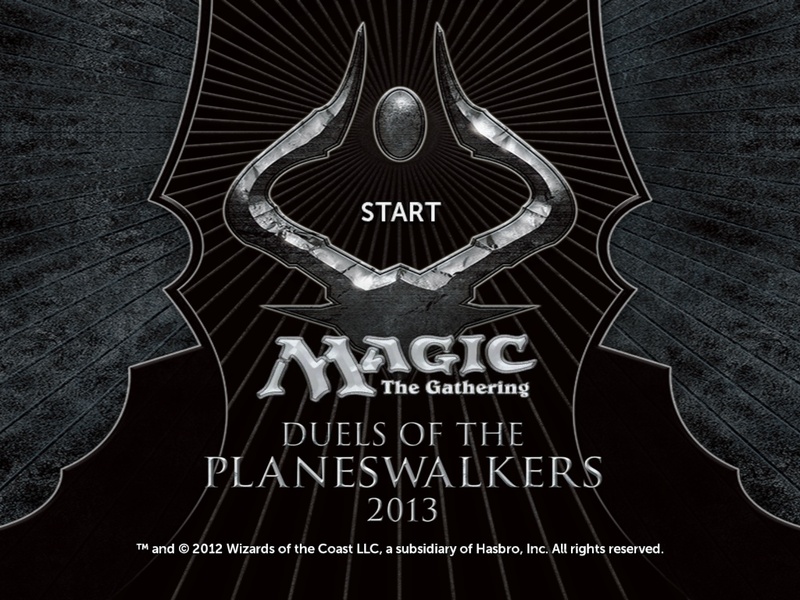 But in Magic 2013 for iOS, after this screen an intro movie plays. 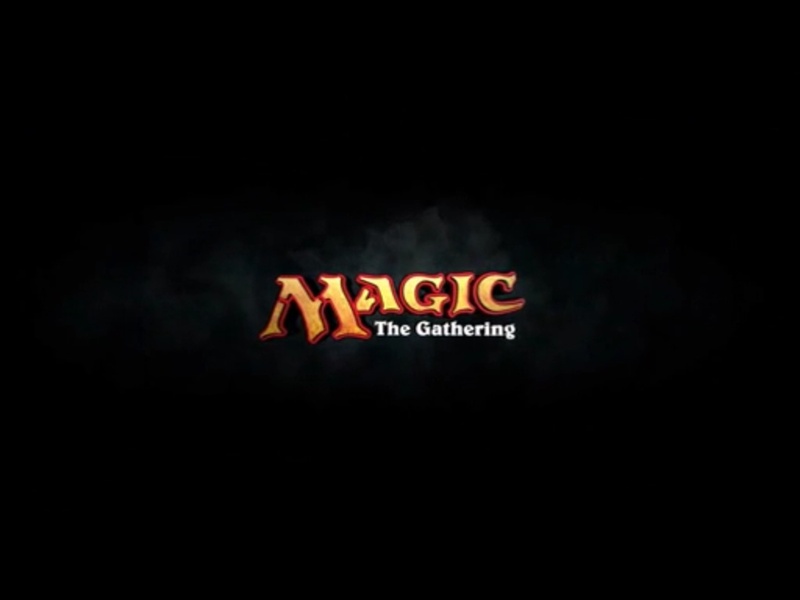 Who watches an intro movie for a card game? This is another topic that’s come up before (Video Game Intro Videos Must Die), and while I’m all about having cinematics in games, this is a terrible idea on a space-limited tablet, and an even weirder thing for the subject matter (a card game). When I tried installing Magic 2013 the first time, I had to do a fair amount of cleaning to free up the 1.2 gb required for the game. The intro video alone is 21 mb of that, and it’s included in 9 languages, so that accounts for nearly 200 mb of space! For something that is a) on fixed storage and b) almost certainly never watched because it is only loosely related with actual gameplay, that’s totally not worth it. All of this happens before the player ever makes it to the main menu, so players are still a couple of screens away from actually having any fun. Compare this with a game like Jetpack Joyride, which starts in one tap, and it’s pretty clear which was designed for mobile consumption. Sure, Magic: the Gathering is designed to be way more in-depth than Jetpack Joyride, so maybe that’s not entirely a valid comparison. In any case, being complicated is no excuse for delaying gamers from actually playing your game, and it wouldn’t hurt my feelings if I could get there a little bit faster. This entry was posted in Casual, Mobile, RTS and tagged card games, game usability, gamesux, gui, ui, usability, usability in gaming by mark d. Bookmark the permalink. How does one “press start” on an iPad? Minor but shows how “the way it’s always been” trumps thinking about the user’s experience. Technically it just says “Start”, which isn’t really any better. I don’t get it.